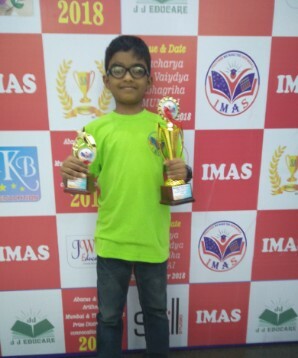 A multi-talented nine year old from Bandra becomes the international Abacus Champ. How does it begin? Curiosity..
Every child is curious and it may sound like a silly question to adults but this kid’s questions were beyond one’s imagination. He wanted to know why the shape of an Egg is called oval, a tennis ball Round and even to the extent of asking why the stars twinkle and the moon Round. Accompanying Mom or Dad to the grocery at the age of 3, he was quicker in calculating and he knew that Math always interested him. Observing everything and anything around wanted the answers and that’s how later felt that Math is such an important subject. 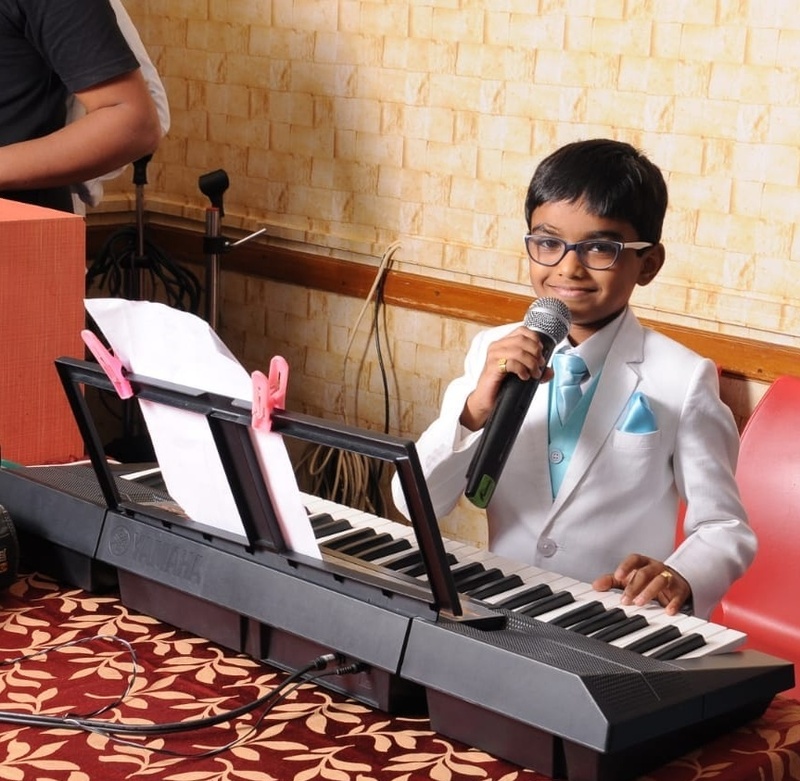 Aaron is a quiet, unassuming multi-talented 9-year-old Bandra lad schooling at St Stanislaus High School Mumbai. It wasn’t like he took an instant fancy for ABACUS as soon as he went to his first class. Somehow he discontinued as he didn’t quite like the teacher. His second attempt made him feel that it was like a challenging game. It soon became a hobby and figured out that it was a great helping tool in school. Now he calls it an addiction and is even making it to the high-level competitions. Aaron has gone on to win from the state level to the International. 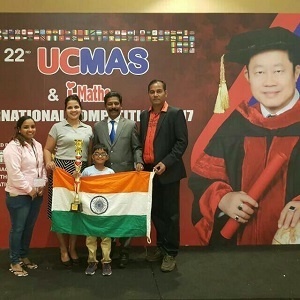 In 2017 he was selected to participate in the 22nd UCMAS International Competition in Malaysia and secured the 1st Runners-Up among 75 countries. 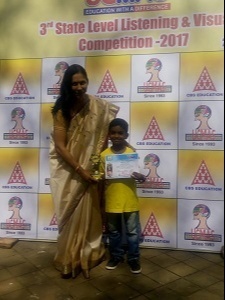 In February 2018 again he grabbed the First Runners Up among 3000 kids who took part in the 13th Maharashtra State Level Abacus and Mental Arithmetic competition. He continues to get better with each competition and is eyeing for more International tournaments and is hungry for more. Mum Rekha who is a Hairstylist is, even more, busier trying to reach her son on time for all the activities and people have even remarked that she is overdoing. While Dad Anthony a realtor helps Aaron and most certainly the math interest is from him. They both affirm that they never force their child into something that he doesn’t want to do. He is a lucky kid who gets support from his school teachers, coaches, relatives and even the neighbours who are all so proud of this Math genius. 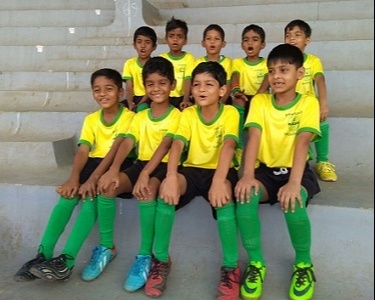 He is all praises for his school - St Stanislaus High School, Mumbai which focuses on the all-round development of children and every facility like music, art, sport etc., is provided and encouraged. Last by not the least, Mr Vinod Roshan D’souza an admirer of Aaron, voluntarily does the P.R, promotes by sharing and referring to various bodies for recognitions. Such is the level of support this little boy receives. “My all-time hero is Christiano Ronaldo and dreams of a handshake with him,” says Aaron. Right now he has collected so much material on Ronaldo for a project he is doing at school and anyone can quiz him on this. Food he is not fussy at all and loves home cooked food and never has craved for junk food. He loves reading books on animals, planes and famous mathematicians. Flying planes fascinates him so much that he one day wants to be a Pilot. His most loved hobby is to learn how to make toy planes. Dealing with this Phone menace? This generation, one truly feels sorry for and they are in a helpless situation. Aaron firmly asserts that he uses the Phone only if he needs information and it could be not more than an hour. He has so far been able to stay away from this monster all because he has been able to fill that time with various activities and in fact has no time for these gadgets. 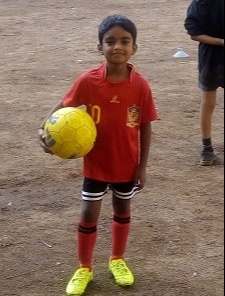 He loves his football and is part of the school team, he is good at singing, playing the keyboard and also loves swimming. At the moment my dream - “I want to be a Pilot at flying planes and reaching people safe and on time to their destinations will give me great satisfaction”. As time goes by with so many opportunities these dreams may change. 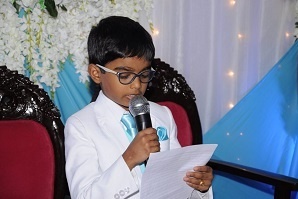 Aaron concludes:: I am just 9 years old but would like to tell all other kids of my age to stay away from PHONEs which is ruining every child’s aspirations. Pick up a hobby and you will never feel lonely or lost. Many kids are in awe of him and hope they get inspired the way he is putting his time to good use.